Meandering through the streets of this ancient, historic city provides a colorful feast for your eyes as indigenous women, draped in colorful hand-woven fabrics, tend their small stores and go about their daily lives. It’s easy to find yourself diverted, from wherever you were going, as the sounds of ancient language and the aromas of regional cooking waft through the air, pulling you into one of the many small, family-run restaurants, famous for the large variety of mole made here. Nestled in the foothills of Mexico’s Sierra Madre range, is the rich cultural center of Oaxaca, the capital city of the state of Oaxaca. With a vibrant artisan community, blending locals with international painters, jewelers and sculptors, weavers and designers, Oaxaca City now draws tourists from across the globe to wander through small galleries, stores, and museums. And Oaxaca is also a culinary center. Here, the importance of good food rivals the arts community for attention. 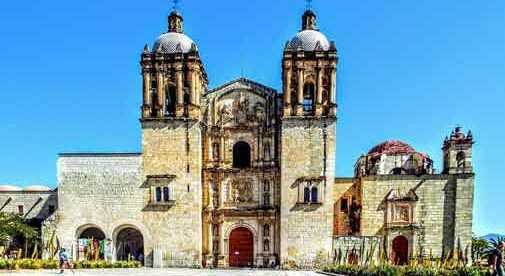 If you want to feel, taste, smell, and hear history, as if you were there when it originally happened, you absolutely must visit Oaxaca, one of Mexico’s historic crown jewels. In fact, you may want to join a growing number of expats who now call Oaxaca home. Sitting at 5,000 feet above sea level, Oaxaca’s climate is dry most of the year and pleasantly warm, from about 75 F to 80 F. It does get warmer during the hottest month of April, reaching into the low 90s F. While generally dry, it rains in the summer months, with June being the wettest. Oaxaca’s Colonial-era architecture, ancient ruins, and cobblestone streets are the backdrop for the local Zapotec and Mixtec indigenous people, who have inhabited this region for thousands of years. In fact, Oaxaca City was named a World Heritage Site in 1987. The architectural sites of the ancient centers of Mitla and nearby Monte Alben are popular tourist attractions and their popularity significantly contributes to Oaxaca’s local economy, now heavily reliant on tourism. Outside the historic areas, the city is still growing. 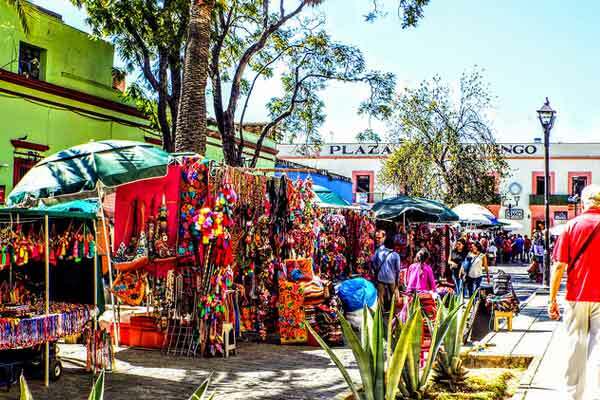 Oaxaca City offers modern supermarkets in addition to the large and traditional open markets in the central area. There is also a major brand big-box retailer, glitzy auto dealerships, shopping malls, and cinemas. Oaxaca even has an international airport and new hotels to support the growing tourism industry. Oaxaca City is very affordable, with expats reporting that total monthly expenses can run from as little as $900 upwards of $1,500, including rent. But these same expats say that Oaxaca isn’t the easiest community for expats to live. Speaking Spanish is essential. Not perfect Spanish but functional Spanish. The city has become a center of social activism over the last decade. Local teachers have driven the development, and there are some permanent protest displays in city parks. Those who live in Oaxaca have come to embrace the passion of the protestors with the same zeal that they accept the passion of the resident artisans. Wonderful food, vibrant art, historic dance, ancient cultures, and a bit of civil activism blend together to make Oaxaca City one of those places that will permanently etch itself into your senses.